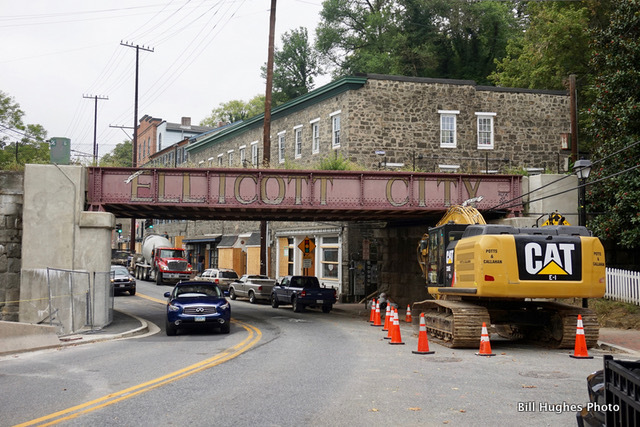 Just over three months after a devastating flood struck historic Ellicott City’s Main Street, it was reopened on Thursday, October 6, 2016, for vehicular and pedestrian traffic. Only a few of its intrepid shop owners, however, followed suit. I checked out the town on Friday morning, Oct. 7th, and was saddened and shocked by what I found. Two people also lost their lives in the flooding; property damage ran in the millions of dollars. The Patapsco sits at the base of the town and runs roughly east and west. You can find the railroad bridge crossing there and the B&O R/R station and museum. The Tiber, on the other hand, runs mostly under the town, on a north to south projectory. On the night of July 30th, the swollen Tiber, and other tributaries which contribute to it, literally became Main Street. The rapids, as a result of the sudden, torrential rains, were worthy of a white water rafting trip! About six inches of rain fell on the impacted area in just under 90 minutes. Critics point to continuing over-development as the likely cause of the disaster. Just above the town, where the Tiber and Hudson streams are located, a lot of new buildings, streets and parking lots have been constructed in the last few years on its hilly terrain. All of that has had a tendency, some argue, to make Main Street even more vulnerable to any flash flooding from above. 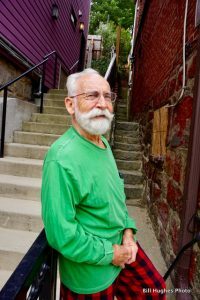 As time passes, more and more folks residing in the historic district below have wondered about the wisdom of permitting all of that uptown development without proper stormwater management. The Phoenix, badly damaged, is still closed and under repairs. 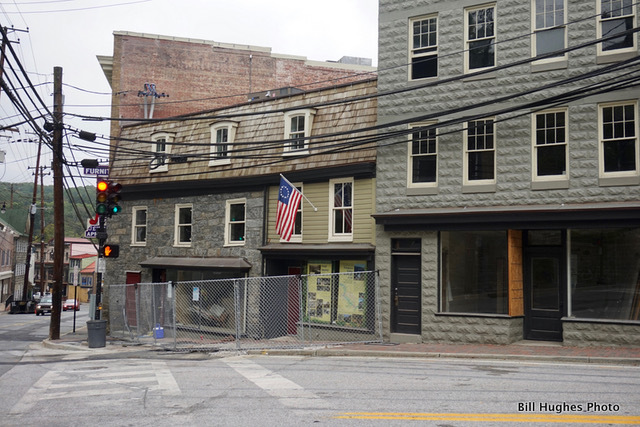 Ellicott City is steeped in the history of our America. It got its name from the Ellicott Mills located where the town begins at Frederick Road and the Patapsco. It was founded in 1772, four years before the signing of the Declaration of Independence. 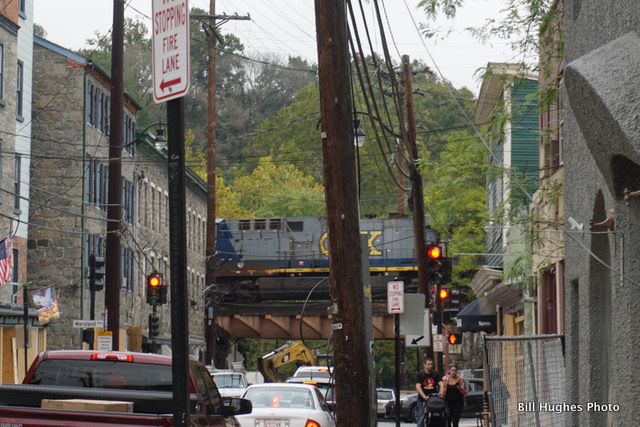 The B&O R/R’s first terminus, outside of Baltimore, was established in Ellicott City in 1830. It is the oldest serving railroad station in the country. The CSX freight trains run through it on a daily basis. The local politicos, and Gov. Larry Hogan, too, are all aware of the serious problems this historic town now faces. 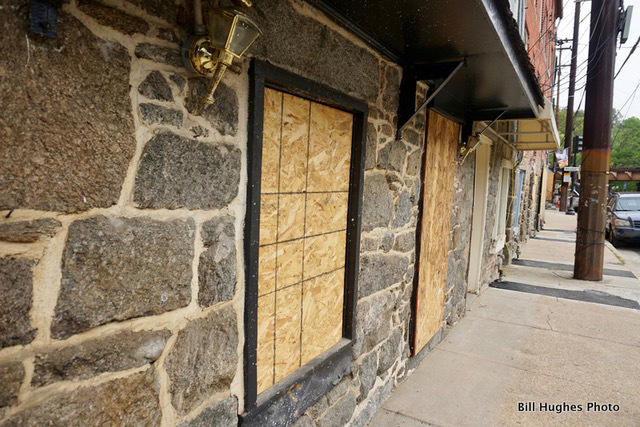 Like other fans of Ellicott City, I’m hoping that they can come up with a viable solution, but, I predict, it’s not going to be quick, easy or inexpensive. To see more of my photos, go to my Facebook page. Quick but good article that addresses the real reasons for the flood (development). So nice to hear the truth as opposed to all that blather Mr Kittleman seems to give us.